A TOTAL of 25 power projects with a combined capacity of over 1,000 megawatts (MW) will boost the country’s power supply by the end of the year, data from the Department of Energy (DoE) showed. These projects will add up to the 410-MW power projects that went online from January to May of this year. Thirteen projects in Luzon totaling 723.65 MW are expected to be completed by the end of the year, the DoE said. These include the second 135-MW coal-fired plant of South Luzon Thermal Energy Corp.; and two 150-MW coal-fired projects of Southwest Luzon Power Generation Corp. — all of which are located in Calaca, Batangas. The list also includes Anda Power Corp.’s 82-MW coal-fired plant in Mabalacat, Pampanga; Isabela Biomass Energy Corp.’s 18-MW biomass plant in Isabela; and Bataan 2020, Inc.’s 7.5-MW cogeneration plant in Bataan. Green Innovations for Tomorrow Corp. and Bicol Biomass Energy Corp. will also have their biomass power plants — with capacities of 10.8 MW and 3.15 MW, respectively — ready this year. Prime Meridian PowerGen Corp. will start commercial operations of its 100-MW Avion natural gas plant; and Hedcor Sabangan, Inc. will complete its 13.2-MW hydro plant in Mountain Province. Completing the list for Luzon is Alternergy Wind One Corp., which will have three 18-MW wind farms in Pililla, Rizal online as early as next month. The same DoE data showed that Visayas will get additional 164 MW of supply from six power projects. The biggest project will involve Toledo Power Company’s 82-MW coal-fired plant in Cebu, which according to the department, is undergoing testing and commissioning. The others include Sunwest Water & Electric Company, Inc.’s 8-MW hydro plant in Antique; and PetroWind Energy, Inc.’s 36-MW and 14-MW wind farms in Nabas, Aklan. Three biomass facilities are also coming on-stream in Negros Occidental. 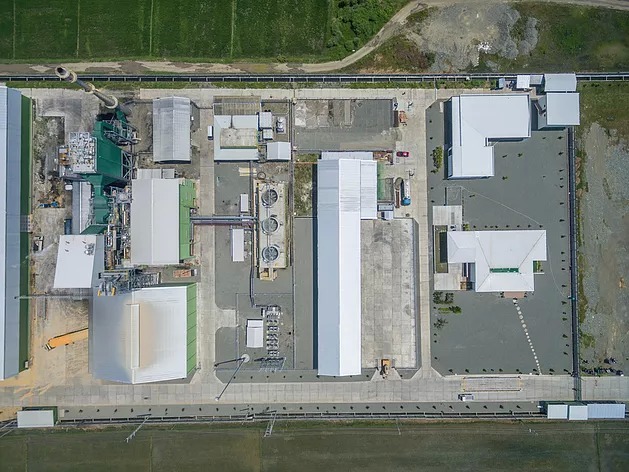 These are Hawaiian Philippines Co.’s 3-MW plant; San Carlos Biopower, Inc’s 18-MW plant; and Victorias Milling Company, Inc.’s 3-MW plant. Supply in Mindanao will get a 267-MW boost from five new projects that will start commercial operations between June to December. These include the first 150-MW coal-fired plant of Therma South, Inc. in Davao and first 100-MW plant of Sarangani Energy Corp. in Sarangani. Also on the list are Supreme Power Corp.’s 11.9-MW diesel plant in Koronadal City; as well as the biomass plants of Philippine Trade Center, Inc. (1.6-MW) and Green Earth Enersource Corp. (3.5 MW) — both of which are in Maguindanao. Last year, a total of 810 MW went online. Manages and facilitates the development of renewable energy projects such as biomass, waste to energy or solar power plants.